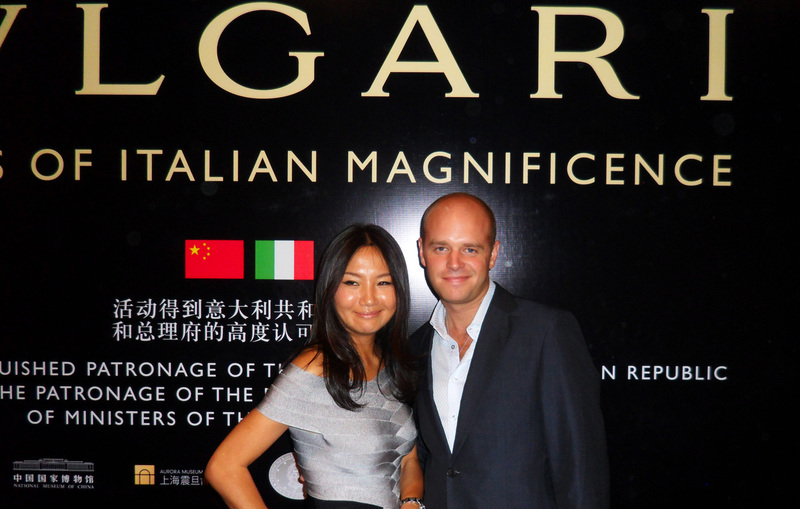 By the time Bulgari actually celebrated its 125 Years of Italian Magnificence here in China – it was already time for the 127th year celebration. Not that anyone is holding it against them. I am just assuming they took the slow boat. 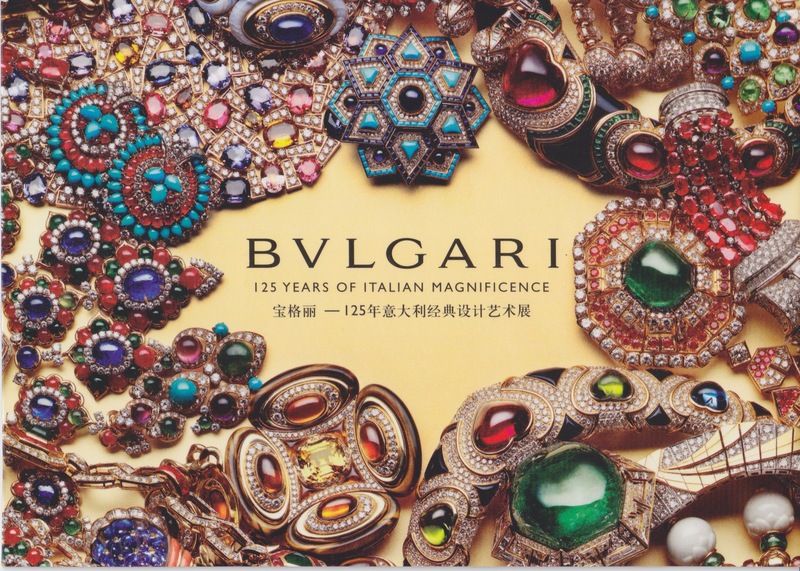 Bulgari’s Heritage exhibition has been traveling around the globe for over two years now with stops in Rome and Paris – among others. Lucky for us, it recently settled in at the National Museum of China in Beijing. 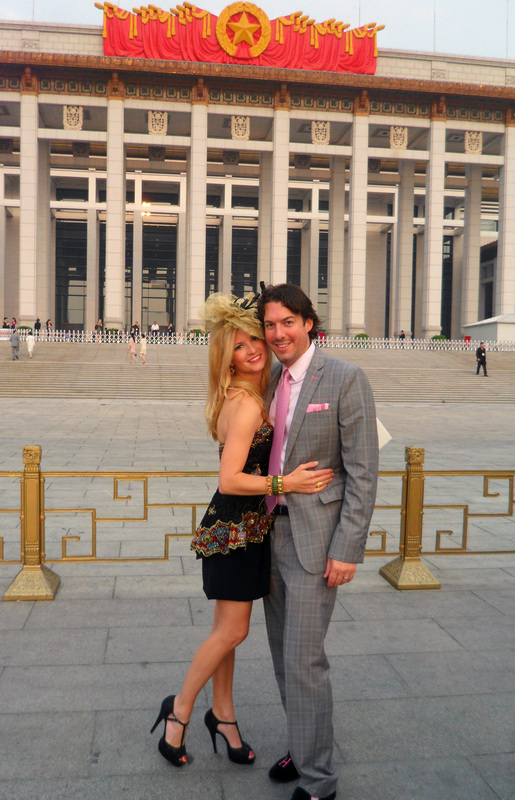 So on September 4, 2011 – Beijings’ “fancies” came out on the town to toast to the jewels (with Moët of course). Brett and I hosted a little champagne and make-up pre-party. He is such a good sport! Sarah Wilson, Morgan Hutchinson, Meili Autumn (my great friend and the best make-up artist in Beijing), and Lena Abed in front of our apartment building. Just like everything in China – there is a VIP entrance and then there is a VVIP entrance. My thought process is why not try for the VVIP? So, with all the confidence I could muster up, I walked right up to very important red carpet – only to be immediately stopped by the man with “the list”. Ouch. I wasn’t prepared to give up just yet. 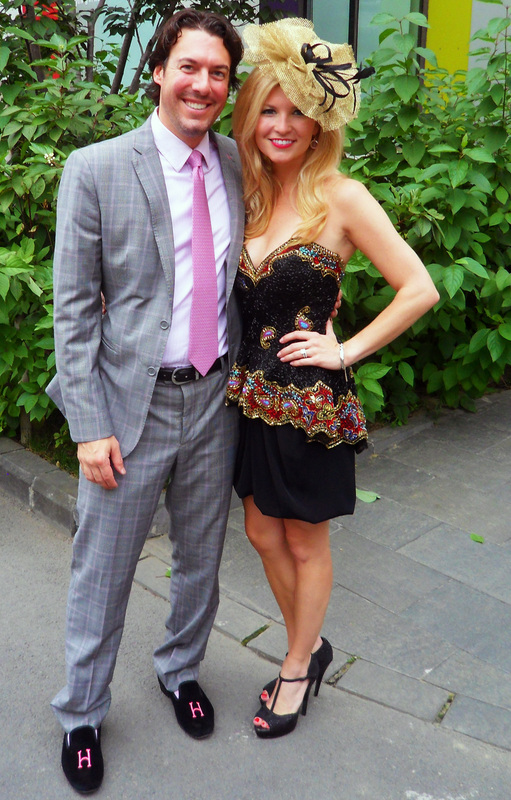 So, I simply stated that I am “The Blonde in Beijing, and I am meant to walk this carpet”. (Whatever that means…) Then, with the help of my blonde fro – photographers began to take notice and left their posts to photograph us. Apparently, this was the only proof needed by the “list keeper” and the velvet rope was lifted for us. My interview with MTV China. They asked me to describe my look for the evening in great detail. It will air on September 23rd!! 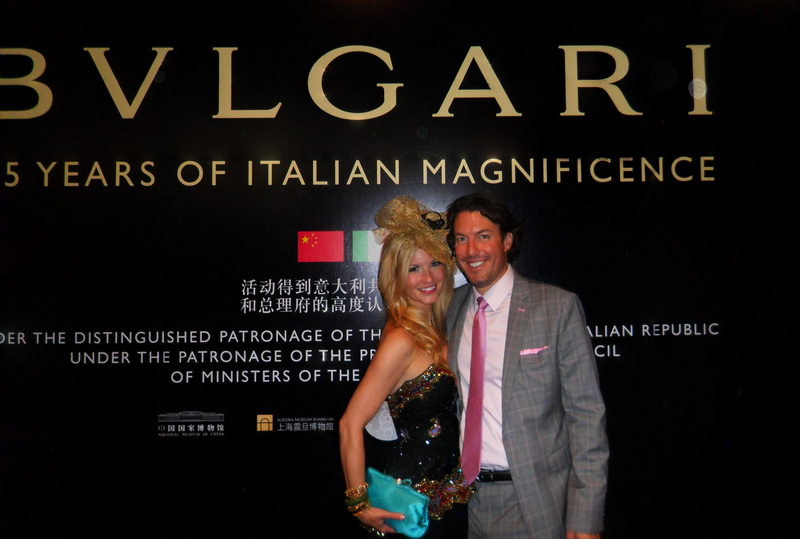 Brett and Morgan Hutchinson inside the Bulgari Exhibit. Amazing Jewels! !